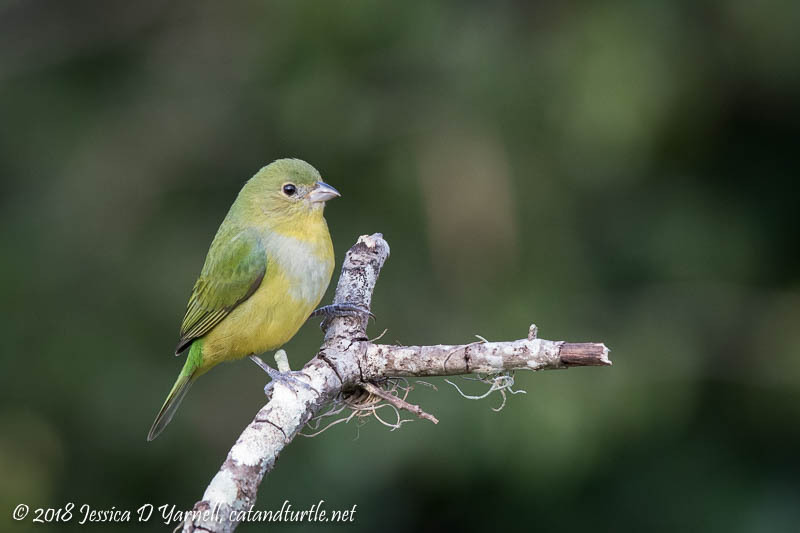 Another weekend morning, another chance to hang out with my Painted Buntings. It’s addictive. 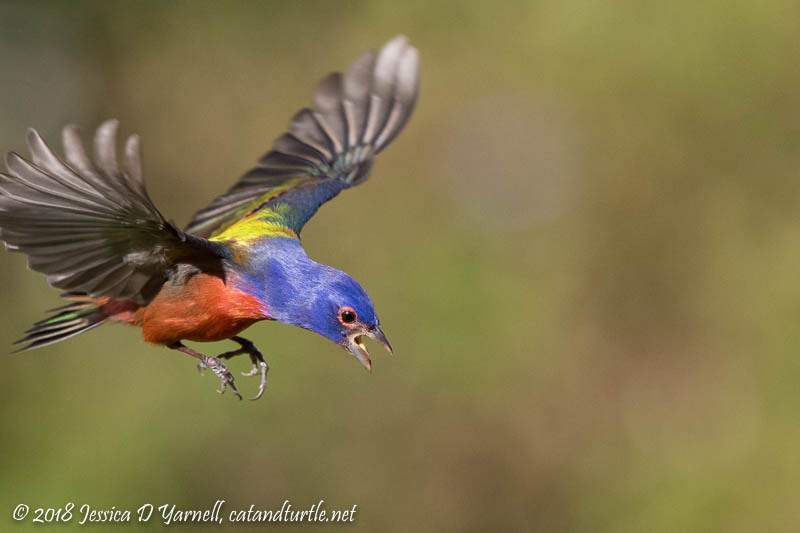 This time I placed the feeder to try for flight shots. I’m still perfecting the technique, but it was so much fun! The birds used a perch near the feeder as a staging area. 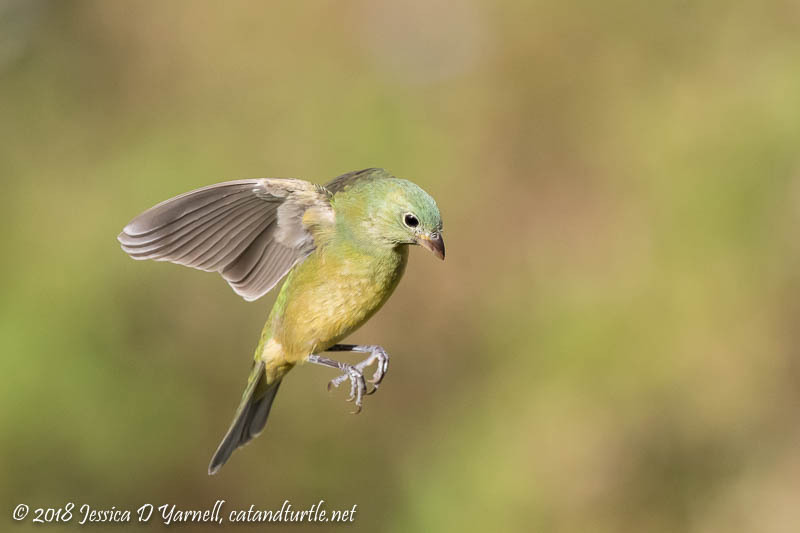 Both the greenies and the males seemed to realize they were photogenic.. 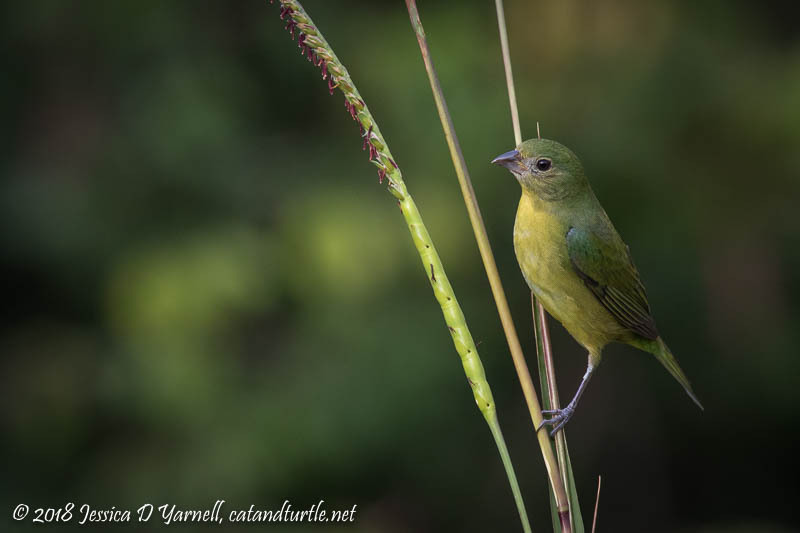 The greenies also liked a perch of wild grass. 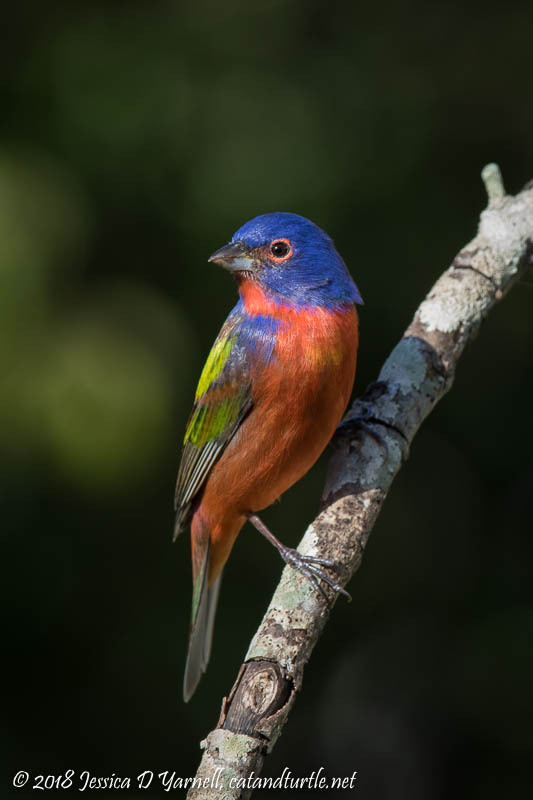 It was covered in seeds, a yummy prospect for a Painted Bunting. 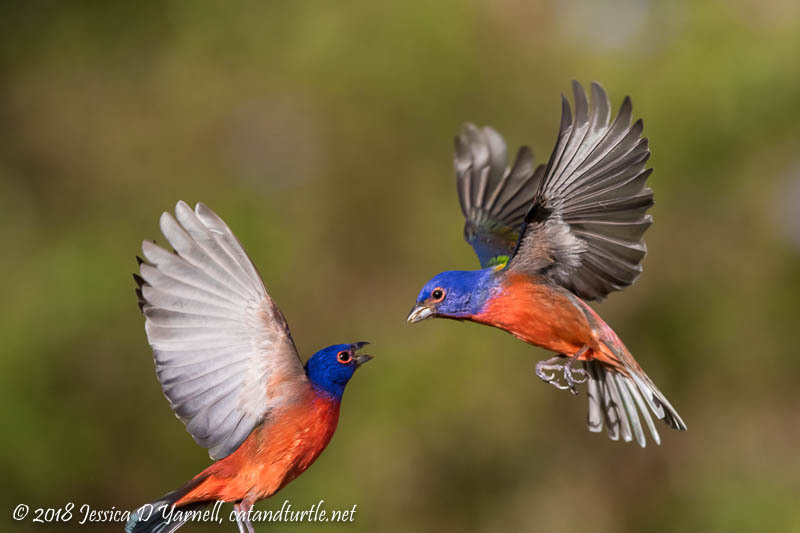 The Painted Buntings were not the only customers at my feeders that morning. 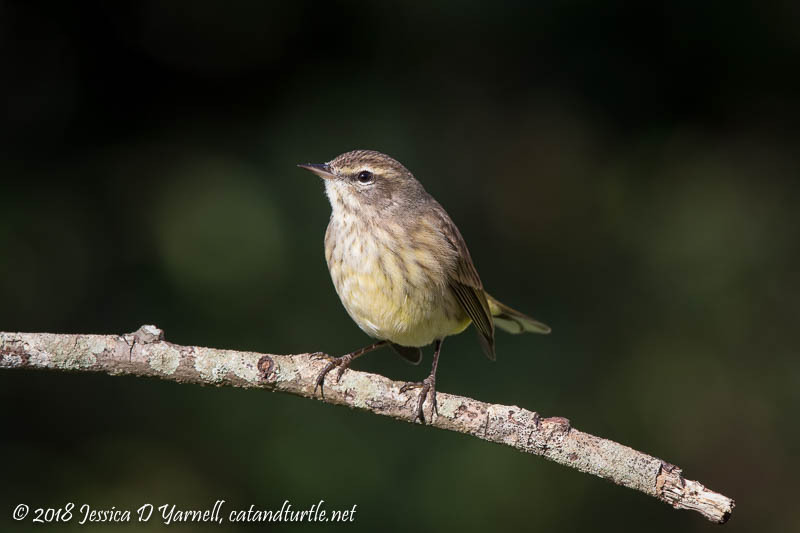 The little Palm Warblers flew in and out, happily calling chip-chip. One stopped on my perch to show off. 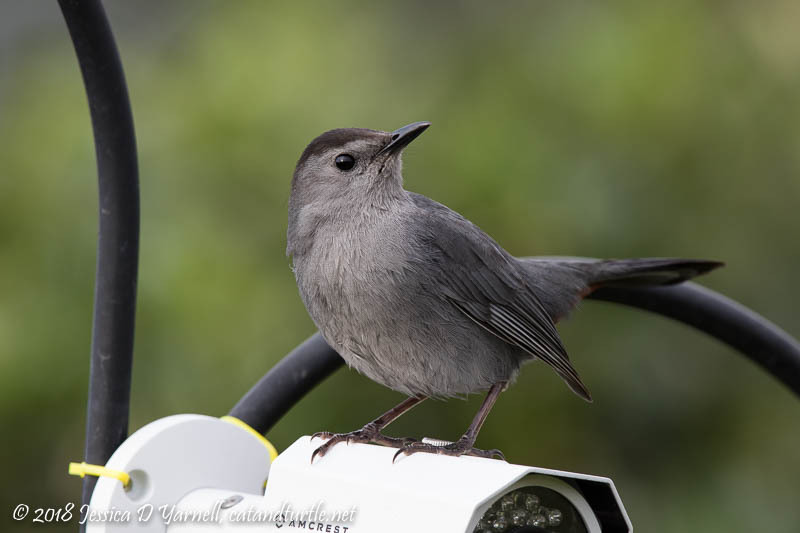 I had to laugh when the Gray Catbird flew in. You see, I have a camera pointed at the bird feeders, so that my mom can enjoy my birds as well as her own. We’re used to peeking at the view from the camera. Here’s the other view – when the feeder becomes a perch! Those shots made ME smile, too! I just did the “happy dance” for you! Awesome shots Jess. Miss you lots.